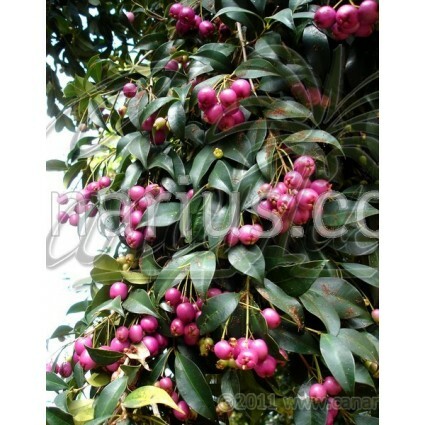 Shrub or small tree with edible sweet, aromatic purple fruits. It is very easy to grow, hardy to drought, wind and moderate cold. It thrives outdoors on the Mediterranean coast and can be pruned as a hedge or kept as a small shrub. 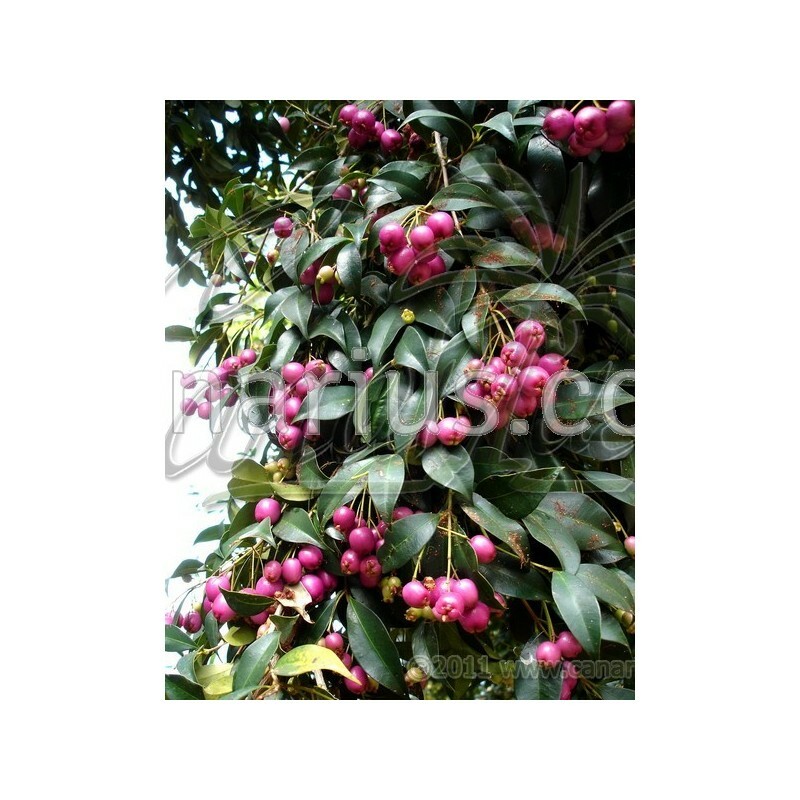 Syzygium oleosum is an Australian shrub or small tree with edible sweet, aromatic purple fruits. Also leaves are very aromatic. It is very easy to grow, hardy to drought, wind and moderate cold. It thrives outdoors on the Mediterranean coast and can be pruned as a hedge or kept as a small shrub. A common name is "Lilli Pilli", or "Blue Lilli Pilli".